How did this love affair start you may ask? Well, dearest Internet, I was one of the unlucky few who could regrettably not attend Design Indaba this year (shock and horror, I know) but fortunately Rose did. To my greatest joy she brought back with her a GIANT stack of business cards, brochures and pamphlets over which I faffed for a whole afternoon. Now I’ve heard of Design Kist before, but I must not have been paying attention because when I took a quick squiz through their online gallery yesterday I fell head of heels and I’ve been drooling over their designs ever since… it’s a compulsion really. 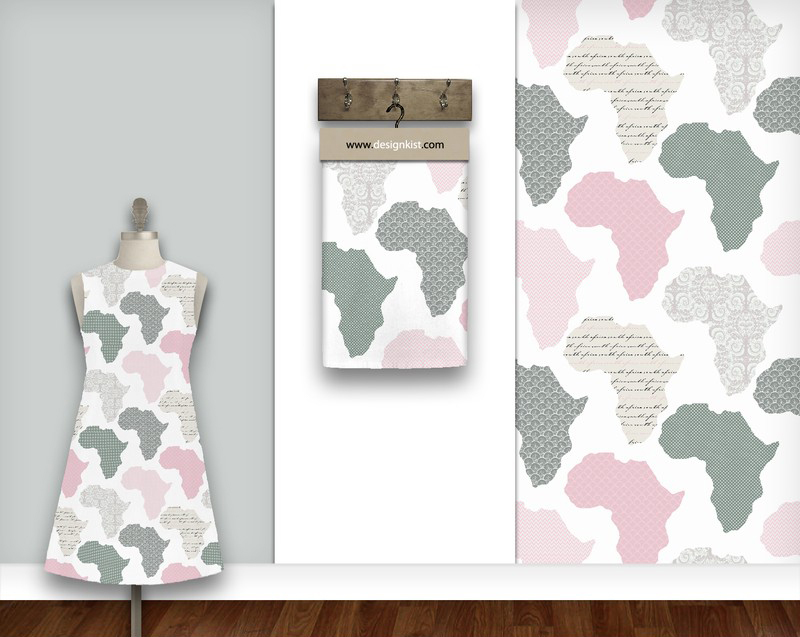 For those of you still in the dark – Design Kist is an online surface design studio and the brainchild of South African textile designer, Kristen Morkel. 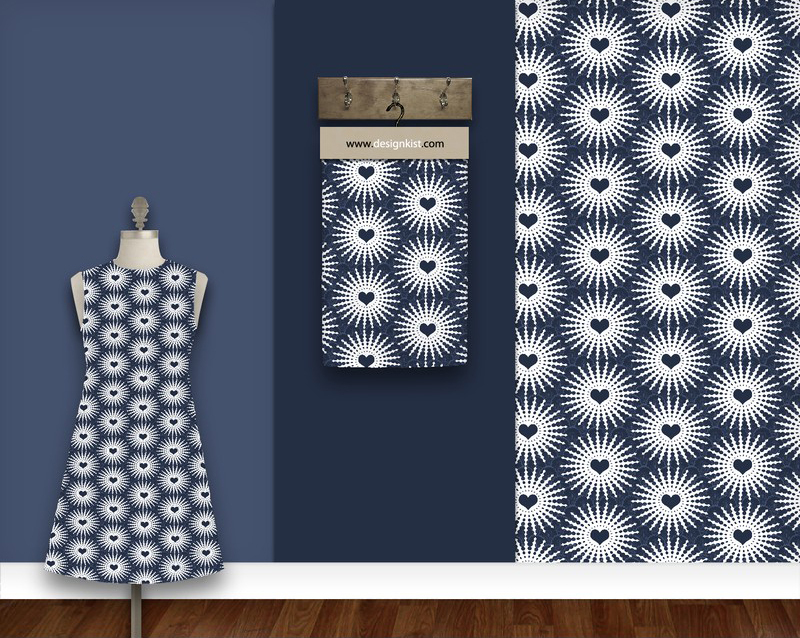 She noticed how local retailers and manufacturers often sourced digital surface designs from European design studios to print onto fabric and manufacture into products. There were no South African counterpart to these studios and a gap existed between retailers and talented surface designers in South Africa. 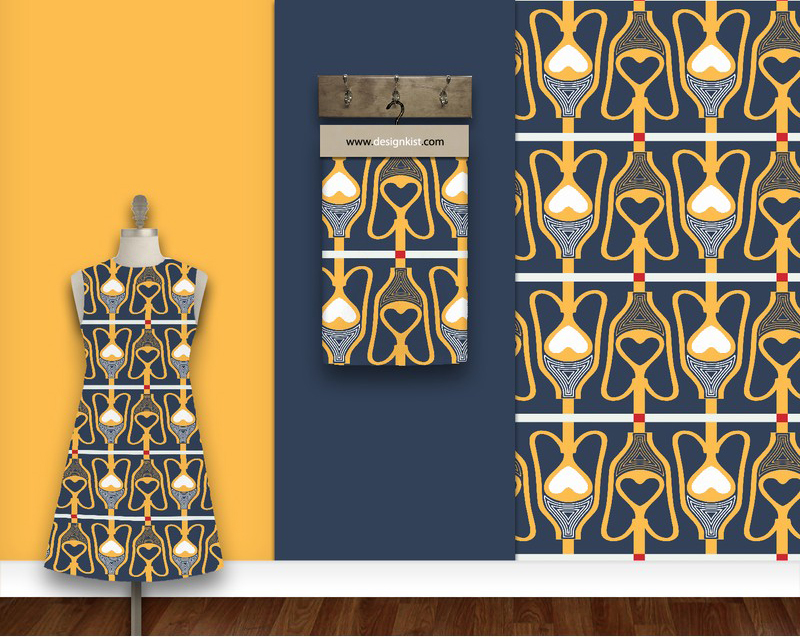 Launched in 2010, Design Kist features a collection of freelancing South African surface designers who submit their work to be sold online. 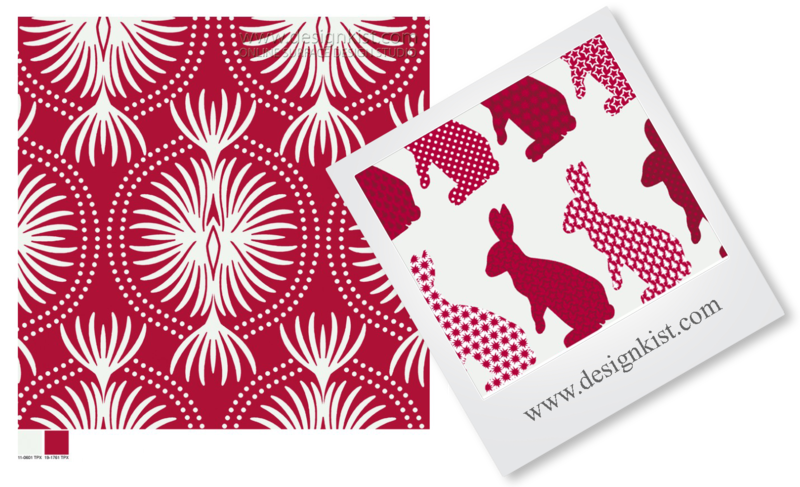 They sell fabric designs for bedding and clothing, and prints for gift wrap and stationery, but the patterns can also be used on homeware, accessories, packaging, upholstery and wallpaper. 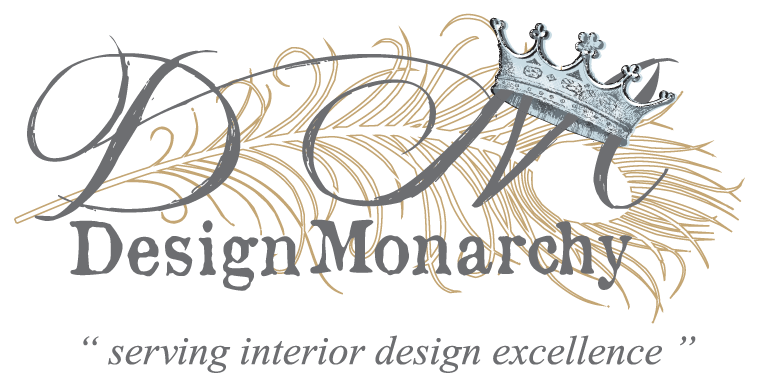 As designers submit designs, they’re added to an online gallery, ready to be purchased, downloaded and printed. Clients need to register and obtain a password before they’re given access to the gallery, which protects the exclusivity of their designs. The cool thing is – once you paid for and downloaded your high res Design Kist image, you attain full and exclusive copyright on that specific design / pattern. When clients are looking to develop something specific; Design Kist creates customised designs & collections. They also tweak colours and sizes of existing designs to give clients exactly what they’re looking for. 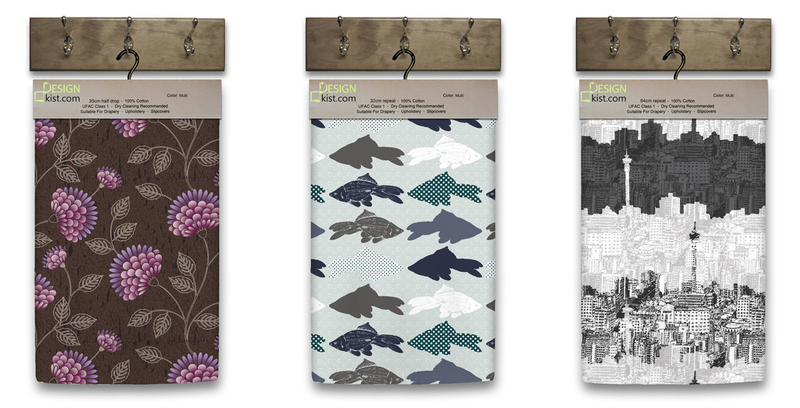 Design Kist also just launched a funky (growing) wallpaper range that can be purchased online for home delivery. Wouldn’t you just love to have their pattern-y beauteousness all over your walls? I would! Local is most certainly lekker! I’ll leave you now to continue my drooling… I suggest you do the same. No Doubt, These style prints are really fabulous. You make me too fall in love with such designs.